We bring everything we need to create a clinic in your chalet. Treatment couch, towels, tape and massage oil but most importanty experience and knowledge. Between us we have 50 years of experience so you know you will be in good hands. If you have a niggle in your back or pain in your knee our experts are here to help. From biomechanical assessments to your musculoskeletal diagnosis, prognosis and treatment plan. Not just in the Alps but we will help arrange for you to see a consultant, if required when you return to the UK. To aid muscle recovery by increasing blood flow, flushing toxins from the muscles and decreasing soreness. Ideally have your massage every day to delay that onset of soreness but if you only have time for one massage make it mid week. We are here to ensure you make the most out of every single day of your well deserved skiing holiday, because you are worth it. 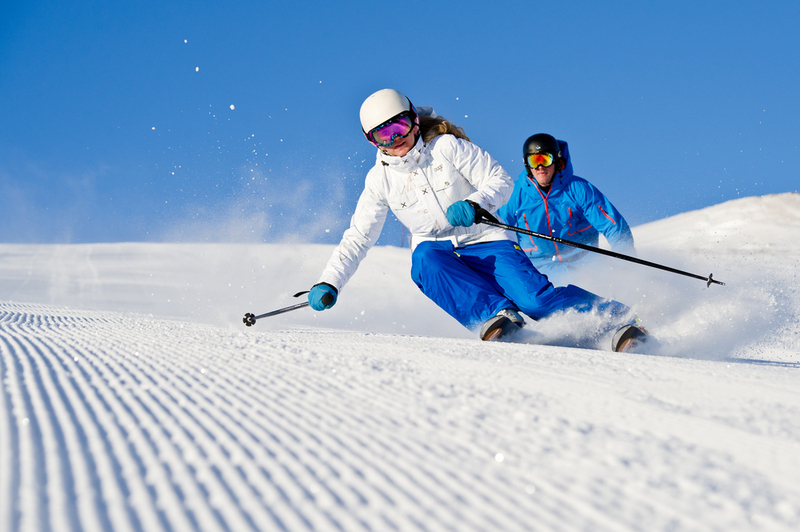 We are here to make sure you enjoy your skiing holiday, every single day. We believe that prevention is the best way to ensure that you can ski more, hurt less. Recovery is the next most important element of any skiing holiday. Using the chalet steam room or jacuzzi is always useful and ensuring you have some stretches that you can do in the evening will also help. The best thing you can do though is to book some massages to help the muscles recover by improving the muscles circulation. Unfortunately all the preparation in the world doesn't mean you won't have a fall or accident on the mountain. Our team of Physiotherapists and massage therapsits have have a wealth of knowledge and experience. We will come to your chalet and do a few tests to check what the problem is and then explain it in detail to ensure you understand your injury, know exactly what you need to do and be confident with the information and treatment. If you can ski away you will and if you can't, Kate will telephone a top consultant in the UK and arrange an appointment for you. If you have already seen someone and would just like to ask a couple of questions or if you need a recommendation on specific injury or advise on what to do and which consultant to see when you get back to the UK then please call us and we will endeavour to answer any questions.